My Sigma Fav Products - Be Glossy In and Out! Sigma was founded in 2008 by Brazilian natives Rene, a civil engineer with a Master's degree in Business Administration, and his wife Simone, a researcher with a Ph.D. in Molecular Biology. After discovering the strong need for worldwide availability of affordable and high-quality beauty products, the couple combined their knowledge of engineering and scientific research to create a company that met these needs in the cosmetic industry. 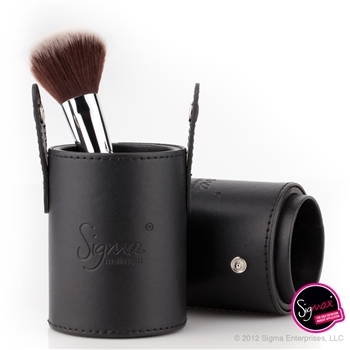 Sigma is dedicated to developing revolutionary beauty products with an exceptional signature quality. We are fashion-forward, innovative trendsetters, inspiring people around the world to express their individual beauty. 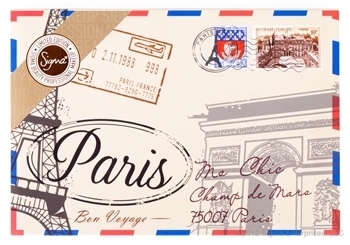 The Limited Edition Paris Makeup Palette includes eight eye shadow colors inspired by landmark monuments and locations in Paris. It also includes two blush colors and one highlight shade, carefully developed to complement all skin tones. 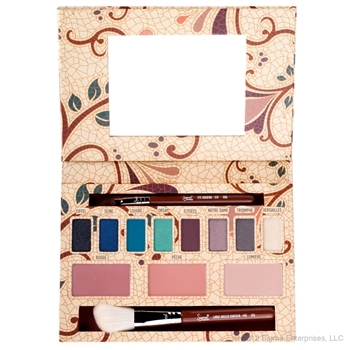 The palette comes with two essential brushes for a flawless makeup application. The discounted price is 49$. The Mr. Bunny Travel Kit was specially designed to deliver the perfect makeup application. 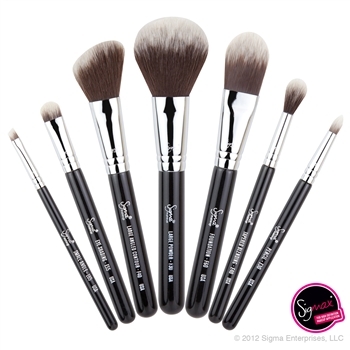 This kit contains seven travel-size brushes from our best-selling Essential Kit that utilize the Sigmax HD filament. The brushes come in an innovative and functional container that turns into two brush holders to keep you stylish, organized and vegan-friendly! The price of the set is 65$. If you want them also, you have 10% off all December. What you think about my favs??? Great post! I loved the brushes!!!! love those brushes, look very soft!! Thanks for visiting our blog and yes we can follow each other, infact starting now we are following you. Hope you follow us back!! Wow! What a great product, love it!!! !